This collection was inspired by the timelessness of Japanese prints and how their simple abstractions create such a strong impression, capturing time and place in a whole different way. 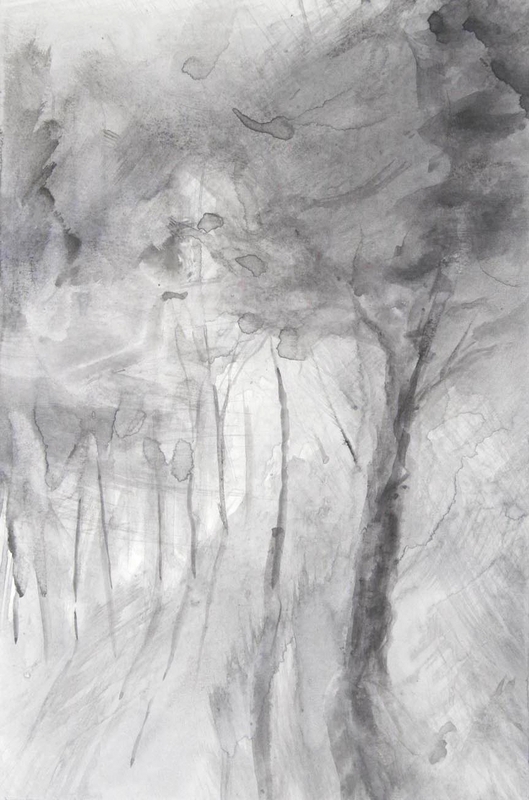 These works are created on Bristol board with India ink, simple materials but at the same time pure and honest. It was a right direction while reflecting for a series of days at a silent retreat, looking honestly inside and around me. The fluid nature of the works also reflects this kind of flowing and abstraction of time when things slow down and your perception of what is truly important comes into focus.